The transformation to this site is quite startling. 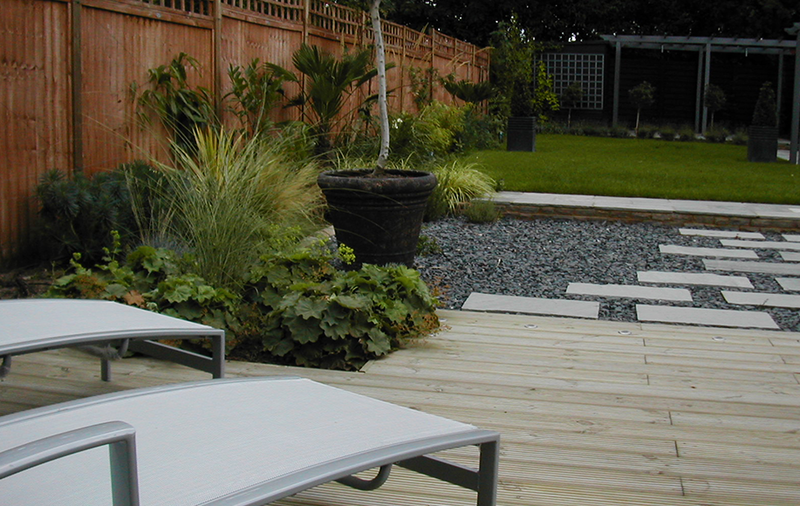 A derelict rear garden was to be turned into a relaxing sunbather’s spot, with a large shed for treasured motorbikes and a contemporary informal style. 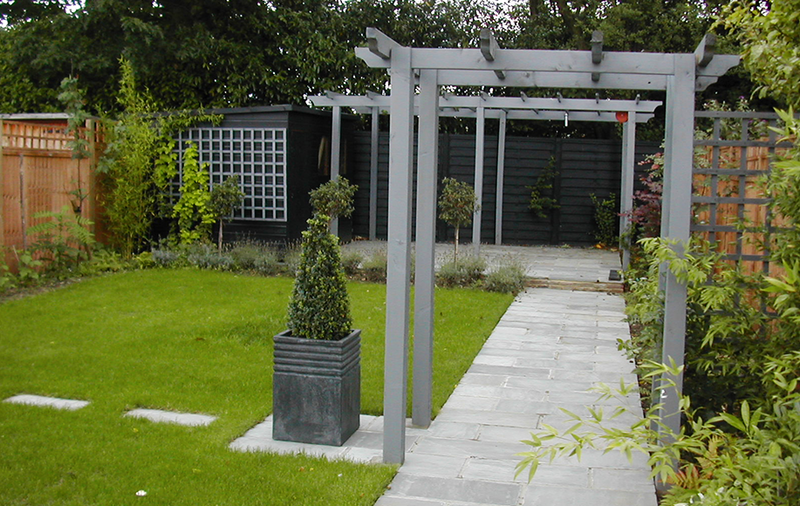 The design included several areas, linked from the house to the rear shed by a wide path with grey painted arches. This shade was picked up by the grey slate laid between the sunny South facing deck and the lush lawn. 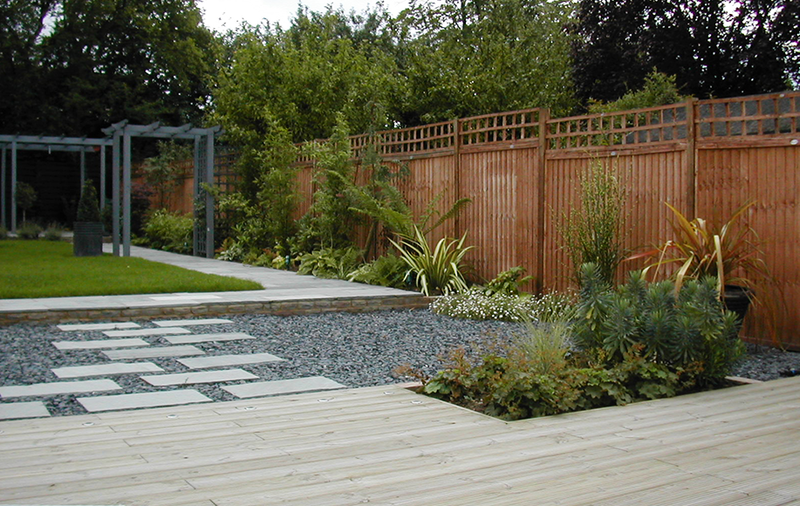 Architectural plants feature, with grasses, hostas, ferns and lavenders. Seasonal perennials such as Alchemilla mollis, Mexican daisies and Euphorbias are encouraged to self-seed and spill over the edges of the hard landscaping, bringing a softer look to the clean contemporary design.